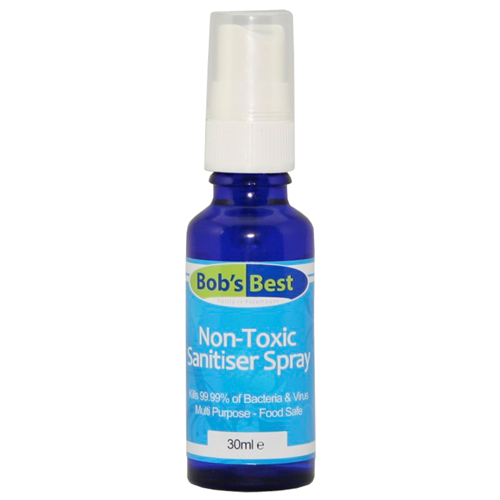 This handy sanitiser spray will keep your surfaces, and anything else, germ free. After spraying, leave for a minute then wipe away. The beauty of this Sanitiser Spray is its handy size. Small enough to fit into your pocket or handbag, you can use it pretty much anywhere (motorway service station toilets spring to mind). It is a totally safe cleaning agent that leaves no chemical trace of any kind. It simply decomposes into water and oxygen. 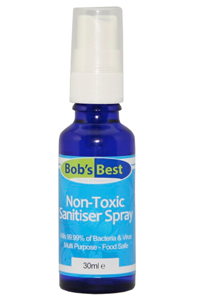 This Sanitiser Spray can even be used on the surfaces of electrical appliances. Warnings: Avoid contact with eyes. In case of contact, flush with water. Keep out of the reach of children.